This entry was posted on December 6, 2014 by Tinteán Editorial Team/EMcK, in News, What's On... and tagged Book launch, crime fiction, NI. Bookmark the permalink. 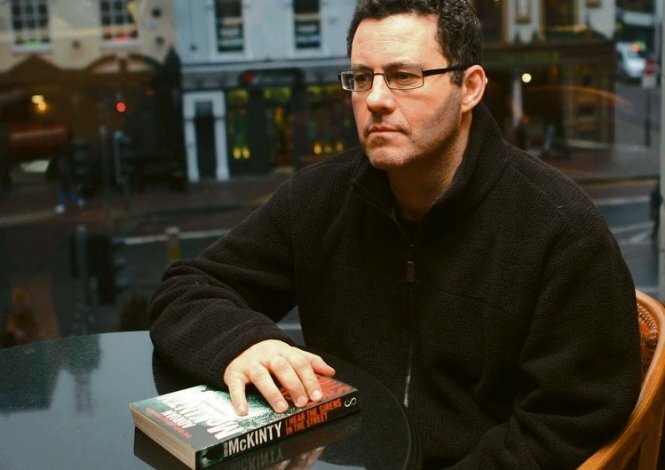 Nature of event: Book Launch of ‘In The Morning I’ll Be Gone’ by Adrian McKinty. Adrian will speak on his Sean Duffy Trilogy especially ‘In The Morning I’ll Be Gone’ which was published this year and selected by the American Library Association as one of the 10 best crime novels of 2014. He will also speak about Northern Irish fiction in general. Prior to presenting at the Celtic Club, Adrian will be launching ‘Belfast Noir’ a collection of short stories in November in the USA.